Each works a little differently, and we thought it would be a good idea to explain the details about how they work. If you have questions that aren’t answered below, post them in the Forum Issues and Questions thread in the NY Ski Blog Guide. NYSB is the blog. As new stories are posted on the homepage, earlier posts move down the page. There are three posts on the home page at one time, and older posts can be accessed by using the Archives on this page, or by clicking on the “Older Posts” link at the bottom of the home page. The move to WordPress has made commenting on the blog much simpler. Go to the bottom of the post you want to comment on and click on the “comments” link. Then enter your name and email address. You can also enter the URL of your website if you wish. Type your comment and click “Post Comment.” That’s it. We’d prefer that you choose a screenname for your comments and stick to it. If you want to remain anonymous you don’t have to use your real name. We reserve the right to edit or moderate comments. Comments posted as “anonymous” will be moderated. The NY Ski Forums are intended to be a place that allows everyone involved with NYSkiBlog to share ideas in a format that is more conducive to conversational exchange than The Blog’s commenting feature. It’s a place to talk about skiing, post pictures, share excitement or discuss anything that relates to the mountains or skiing. The Forums require a registration to post. All you need to register is an email address, a screen name and a minute. If you don’t see a registration confirmation email right away – look in your spam filter. Choose: PERSONAL SETTINGS > CHANGE AVATAR > BROWSE > UPLOAD > CROP. That’s all there is to it. A complete list of Forum Rules are posted in the Forum. But they all boil down to one thing: respect. Forum members should treat others with respect. Posts that violate this rule will be deleted. Posters that break this rule will be removed. We reserve the right to amend rules/policies. How do I go to the last post in a thread? How do I get a link to a forum thread? How do I post a video in the forums? NY Ski Magazine is an online periodical focusing on off-the-beaten-path ski destinations that don’t get the big headlines (or the big crowds). The Magazine is a great resource for planning trips to mountains you either weren’t aware of or hesitant to visit due to a lack of information. There are also several features about “lost” northeastern ski areas, i.e. no longer in operation. How can I be alerted when new magazine features are published? When you subscribe to the blog you’re also subscribed to the magazine. You’ll get an email when new features are published. Go to the magazine homepage. In the right sidebar you’ll see a field to enter your email address. Click “Subscribe” and you’ll get an email when new features are posted. If you have questions about NY Ski Magazine email us or you can post questions in the Forum Issues and Questions thread in the NYSkiBlog Guide. 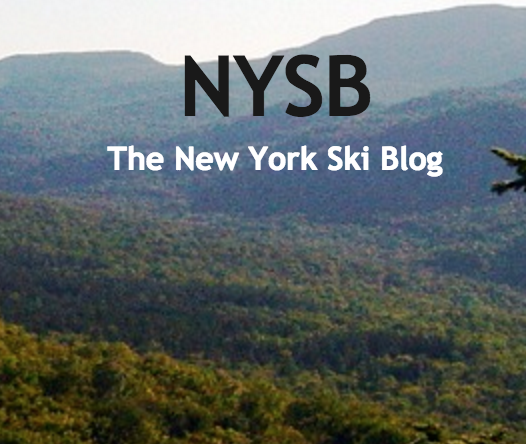 The NY Ski Directory is intended to be a resource for New York skiers. Currently it includes maps and stats on all the alpine and nordic ski areas in the state, plus a collection of ski memorabilia, old trail maps and we are slowly working on writing the history of ski areas in the state. If you see a ski area without a profile and you’d like to contribute to the section, please email us. Whiteface: Springtime, Sunshine and Skyward! Rafting the Hudson: All Forward! Peekamoose Blue Hole: Paradise Lost? Ski Resort Water Parks: Wave of the Future? What is an Expert Skier? Go West (Mountain), Young Man! Is the Subaru Outback the Ultimate Ski Car? A Ski Mountain's Ad Jingle: "Getaway to Gore"
What Kind of Ski Snob Are You? Belleayre, Gore and Whiteface: Perfect Together? Killington vs Mad River Glen: Fair to Compare? What is a Skier's Mountain? The Dark Side (of Tele). Wind Towers at Barton's Mines? New Trail Through Gore's Tahawas Glades? Gore's Cirque Glades: Longest in the East? How Often Do You See This?